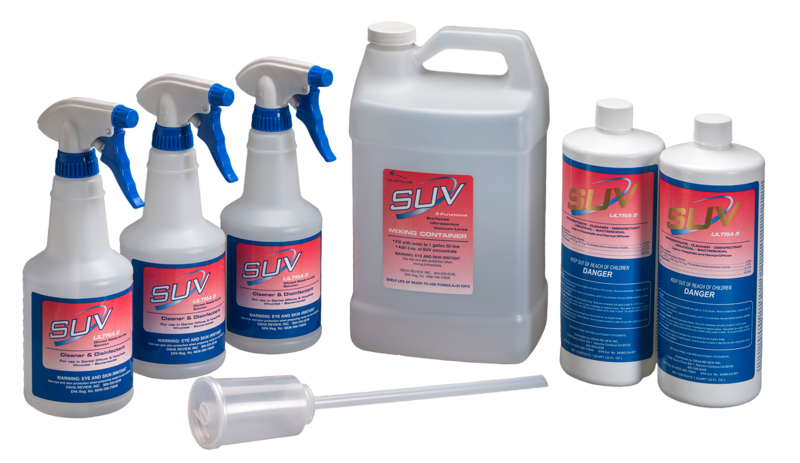 SUV Disinfectant & Cleaner contains both a powerful cleaning agent supported by an exceptional disinfectant formula, for unsurpassed cleaning and disinfection of dental surfaces. SUV acts as an effective ultrasonic cleaning solution for cleaning and decontamination of contaminated dental instruments prior to sterilization and as a vacuum line cleaner. 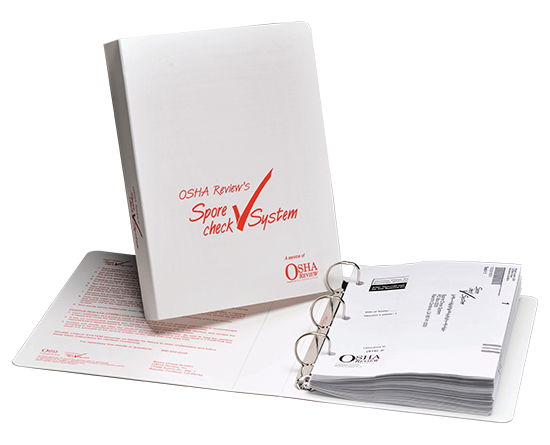 OSHA Review’s Spore Check System provides convenience, simplicity and assurance when monitoring your autoclaves. 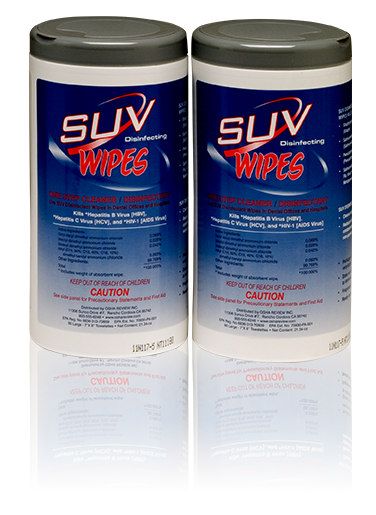 SUV Disinfecting Wipes are EPA-registered surface disinfecting and cleaning wipes specifically developed for dental offices. Our Compliance Program includes a bimonthly CE-based newsletter that provides dental professionals with consistent, up-to-date, accurate regulatory information in an easy-to-read format delivered right to your door. This program is currently available only in California. 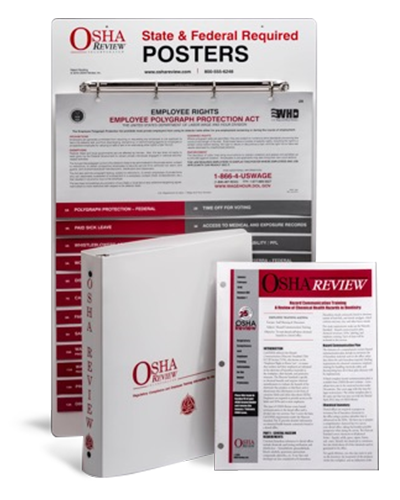 Established in 1992, OSHA Review Inc. has provided dental professionals with comprehensive programs to support regulatory compliance and infection control for over 25 years.